Everybody loves a celebration, but without festive balloons, party decor, and snacks, your do will be more of a don't. Which is why the ABCOE Party Shop should be your first stop when planning any event. Whether you are organising an elegant corporate event or wedding, a birthday party, graduation, or a wild hen’s night, you're sure to find what you are looking for at our Party Shop: online, or by visiting our 400m2 Penrith store. If it's balloons you want, we have them in a myriad of shapes, sizes, materials, and colours - including metallics and pearls - whether you want to fill a space with balloons, or just use a few printed balloons to make a statement. And nothing makes a better statement than foil helium balloons spelling out a name, occasion, or in the shape of a beloved character or even numbers indicating a year or age. But it is also important to not inflate the balloons too early, so they don't lose any buoyancy - you want your balloons to float high from the start of the event, right up until the last guest leaves. Which is why we also offer helium tanks for hire, along with helium tank kits that come with a disposable tank. Being lovers of anything to do with celebrations, at the ABCOE Party Shop we also understand that many celebrations are themed or linked to special occasions, so many of our products are organised according to theme, event, or type of occasion, from engagement parties, hens’ nights, and weddings, through to New Years, Valentine's Day, and even the Melbourne Cup. But with such a large variety of party supplies and event decor, you're sure to find items that fit almost any theme, no matter how unique: from specific colours, to polka dots, stripes, and even licensed characters for your Peppa Pig party, or Disney themed event. We even supply themed party packs and invitation cards to make it easier for you to start with the basics and add individual themed items as necessary. And if your themed party is also a costume party, you’ll find we have a large assortment of party costumes and costume accessories for men, women, and children, so you’ll not only find something for yourself, you’ll also be able to tell your invited guests where to go for the perfect costume. Of course, we also understand how our range of party supplies could entrance you so much that you almost forget about another important component of any party or celebration: food and snacks. Which is why we also carry a wide assortment of food, snacks, and confectionery, suitable for both formal events, and exuberant kiddies’ parties. For informal do’s we have chips, popcorn, chocolates, candy, and nuts, along with a choice of treat or loot bags if you want to give your guests something to take home. And for corporate and formal get-togethers we have finger foods, salads, desserts, and various meat, chicken, and seafood dishes, along with all the serving ware, cutlery, drinkware, and other catering items necessary for both sit-down and stand-and-mingle events. 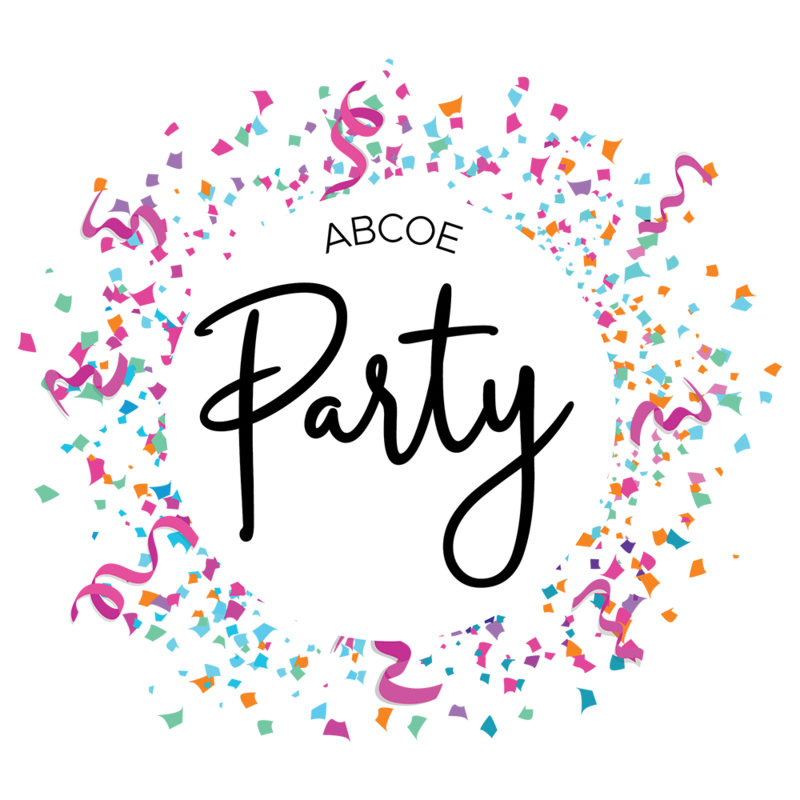 At the ABCOE Party Shop, we aren’t just passionate about all kinds of celebrations and events, we’re also dedicated to making hosting or organising a party as easy as possible by carrying a wondrous treasure-trove of party supplies and accessories, both online, and in our Penrith store.